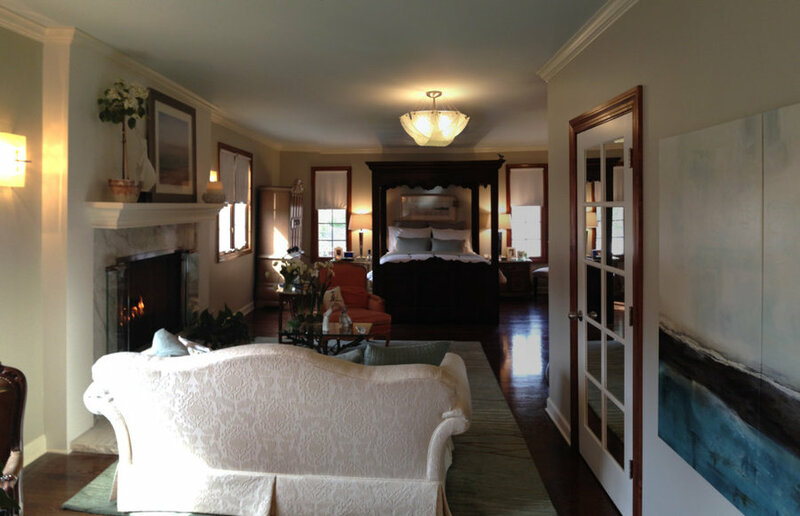 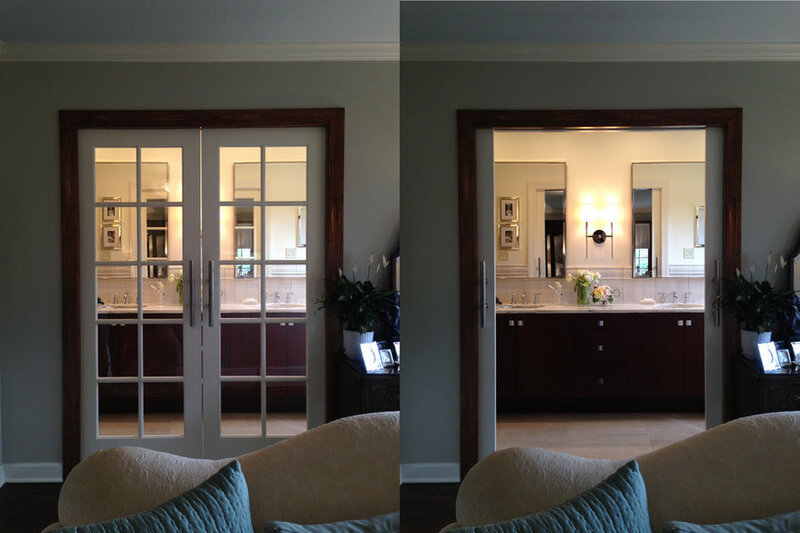 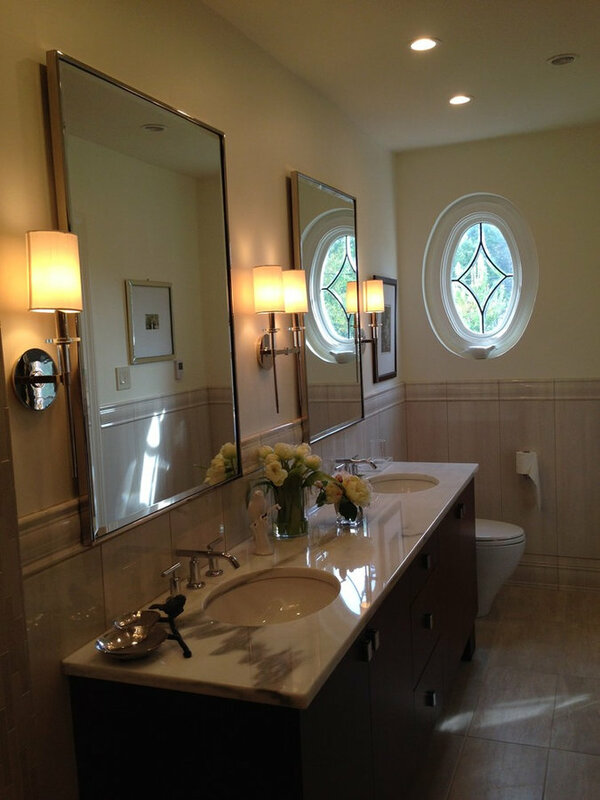 The project was a master bathroom complete rehab. 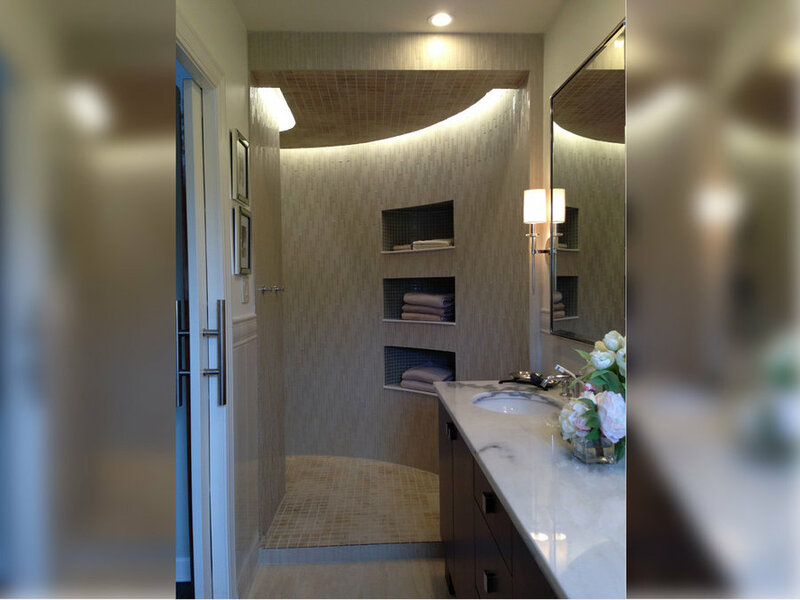 The program called for an open shower in a very small space at the end of the master bathroom. 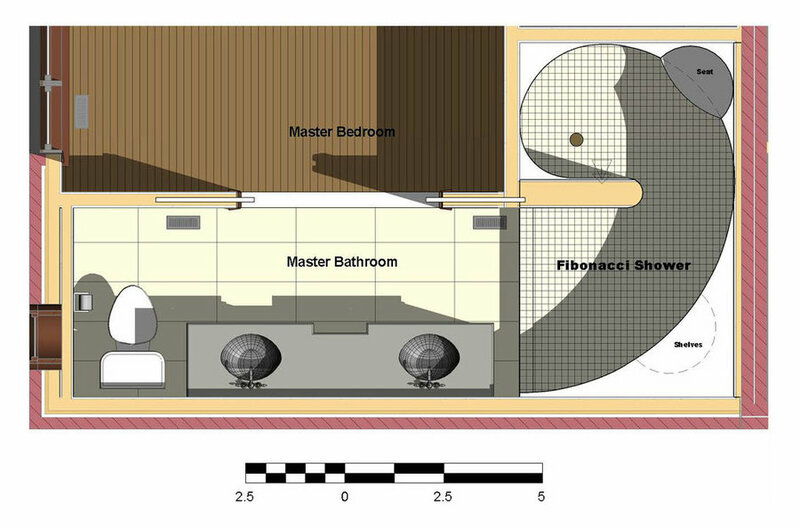 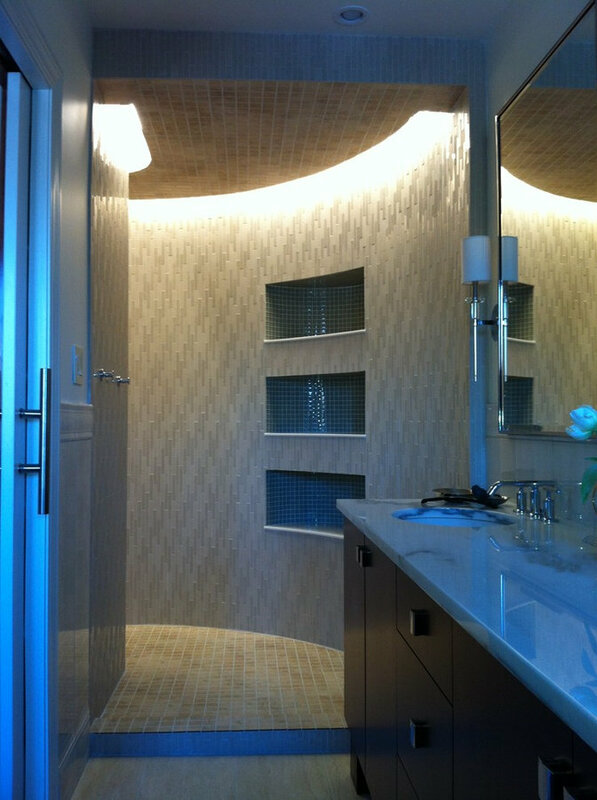 The solution was to utilize the Fibonacci sequence to create a Nautilus shape in plan with the source of water and drain being at the locus, and the curving walls of the Nautilus opening up to the end of the master bathroom. 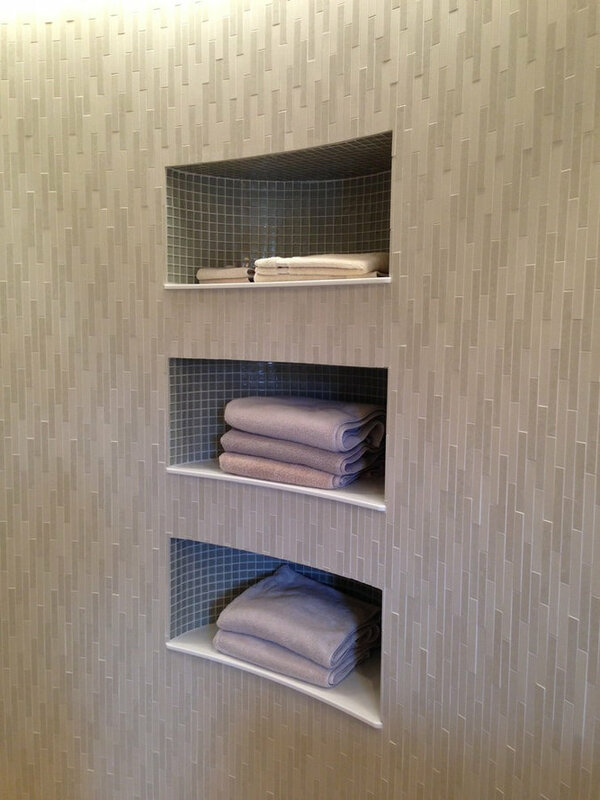 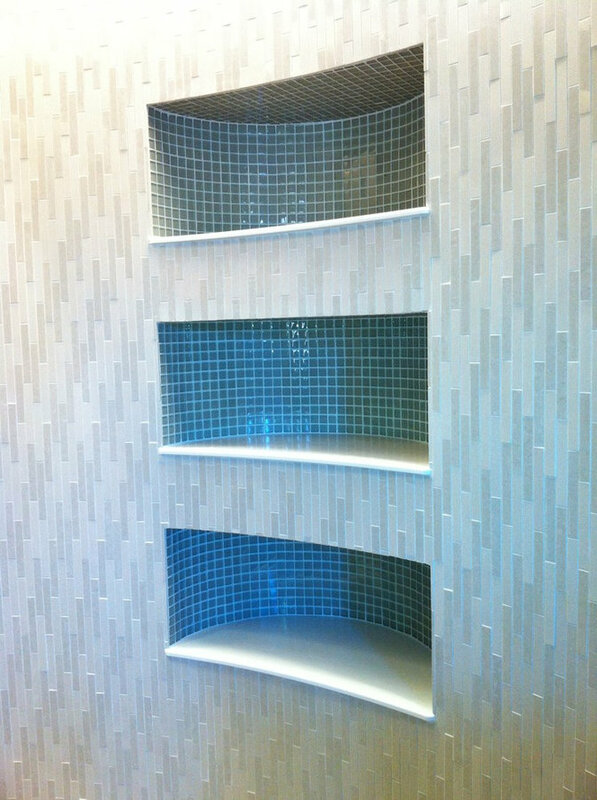 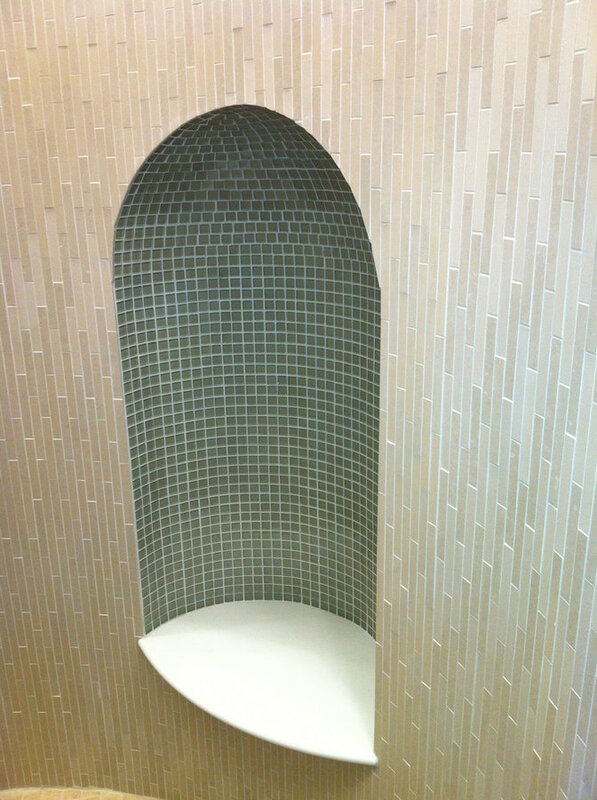 An open set of shelves and a shower seat were carved into the curving wall for dry towel storage and seating respectively. 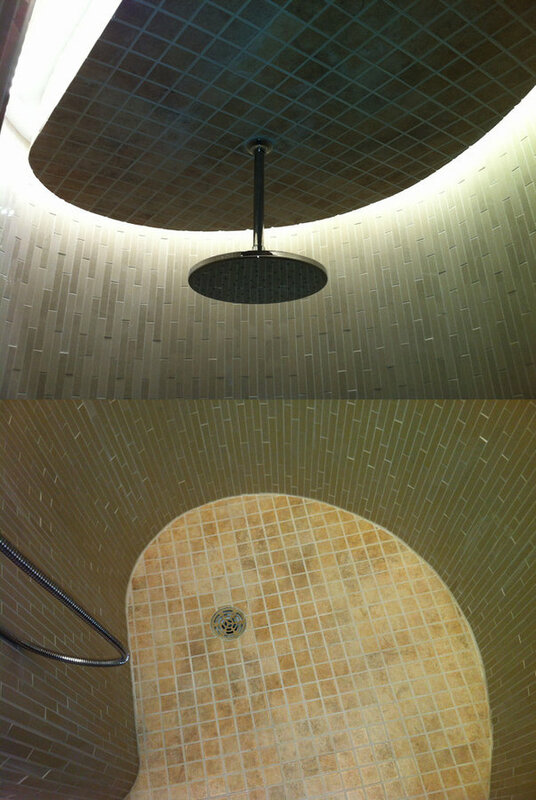 Ambient lighting was achieved through the use of a ceiling light trough following the curvature of the Nautilus.